Home » ABB » european standards » Gibbons » legislation » requirements » safety » variable speed drives » VSD » What are the European standards relating to variable-speed drives? 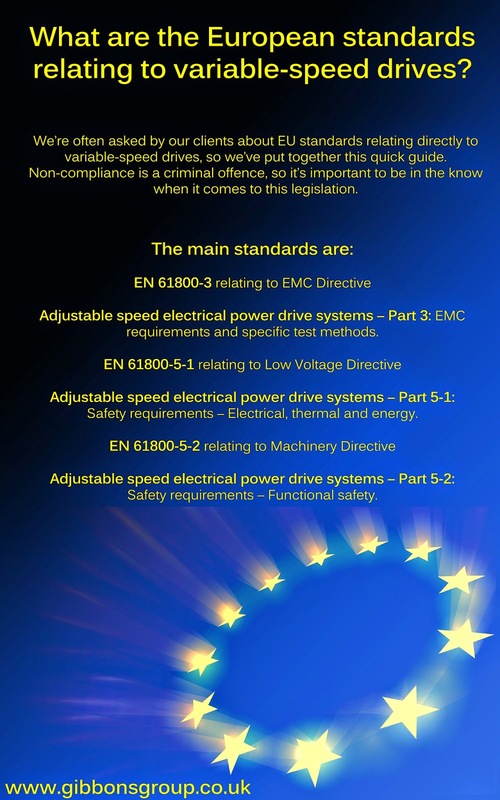 What are the European standards relating to variable-speed drives? If you have an ABB drives price enquiry or technical query, call Alan Roberts on 07966 468430 or email alan.roberts@gibbonsgroup.co.uk.